CyberCube Analytics is delighted to win this prestigious insurance industry award. We are privileged to be counted among the winners on an evening in New York City that saw many deserving initiatives, companies, and individuals recognized for excellence in insurance. In our first year of operation, we have noted many wins, including adding Munich Re, Chubb, Guy Carpenter, CNA Financial and JLT Re as clients. 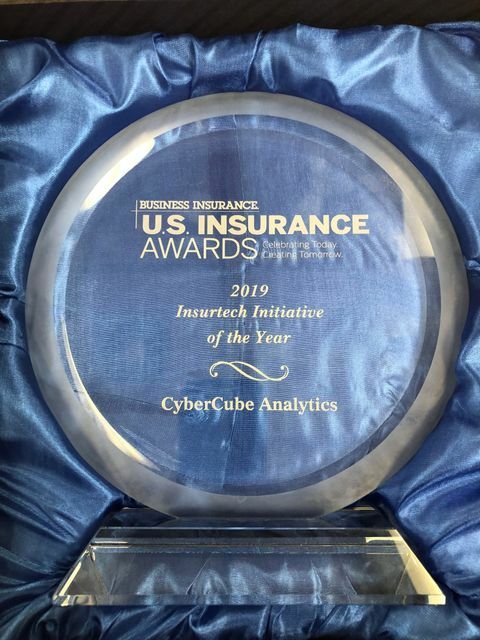 Thanks to Business Insurance for recognizing our efforts to enable controlled growth in cyber insurance, via our analytics platform for cyber risk aggregation modeling and insurance underwriting. And a huge congratulations to the CyberCube team for bringing this award home!